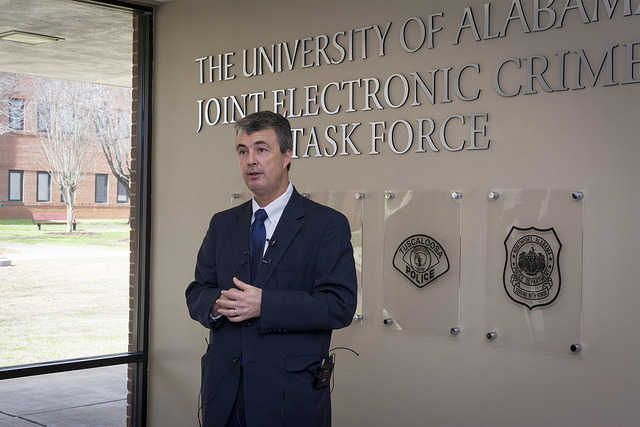 On Wednesday February 22nd, 2017 the Joint Electronic Crimes Task Force (JECTF) hosted new Alabama Attorney General Steve Marshall for the grand opening of the Network Intrusion Lab (NIL). General Marshall spoke to a group of 30 officers from around the state who were in a two-day training class hosted by the Attorney General’s Office. General Marshall speaks to reporters at the JECTF. 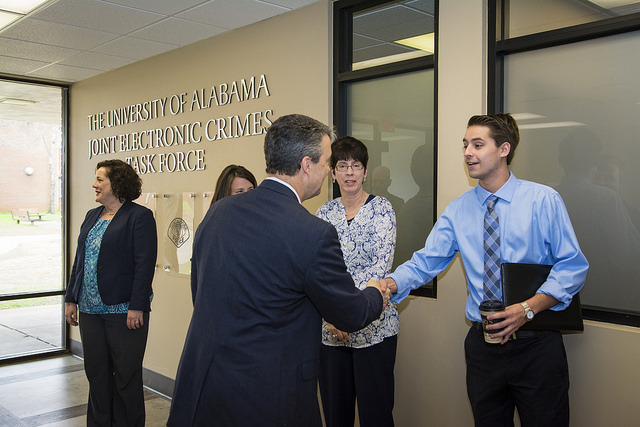 General Marshall meets Department of Criminology and Criminal Justice graduate student Kevin Poorman.